DIAGNOSTIC FEATURES: Small. abundantly branched, tufted, dull. 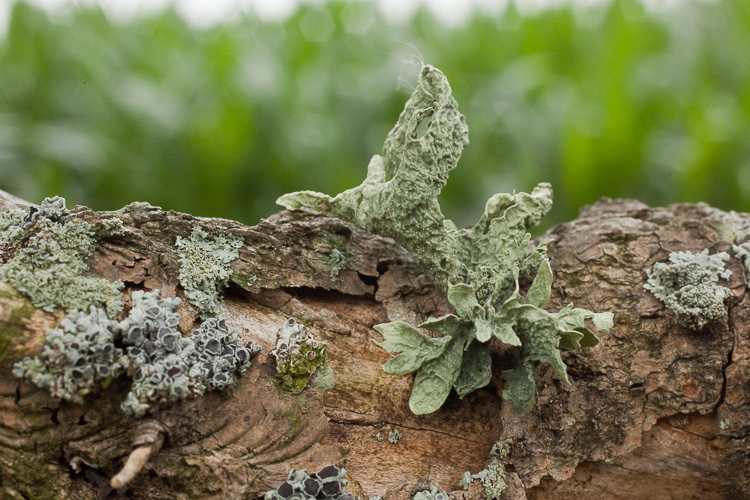 leathery thallus with flattened branches and papillate surface; apothecia terminal or subterminal; compare with R. americana with surface not papillate and R. celastri with surface not papillate, apothecia lateral and superficial. ECOLOGY: Common in the southeastern US; rare in Ohio with recent records from 4 counties plus 4 old records; on bark and old wood exclusively.